Has anyone heard of him or seen him???? also goes by Prabh Singh and Prabh Ahluwalia, has lived in Ashburn and Leesburg.A contractor. Re: Nsumbu Services, Rob Singh??? Yes he agreed to do some work for us but after collecting an "advance for materials" did very little work, the work that was done was done very poorly. hey jim..did he rip you off as well? Why would you hire one of the 40 thieves of Bahgdad? At one time he did excellent work, something changed.. Yes, what changed is he realized he could get paid for NOT working. Actually, a whole lot of folk have come to that conclusion. I have heard that there is an arrest warrant out for him and so he has skipped town. Unfortunate he can just create a new name and company some where else and continue to rip off and steal from others. His whole life is a lie, very ill person. no cares for his family and what he has done to them or his friends. needs to be stopped! I knew this guy for while..enough to call him a friend...he is a common thief..steals money, and does not deliver services. be careful. yes there are several judgements againt him in Fairfax, but nobody can g=find him..check the other thread on this topic,,,we have his picture there..pls keep us all posted! He may still be in Ashburn or visiting his family for the Holidays. There is a facebook page looking for him as well. You can find his picture there. Could be in the area visiting family for the Holidays. Might involve a reward as well. Please also visit FaceBook page "Where is Rob Singh,Prabh Singh, Prabh Ahluwalia" There are pictures there. 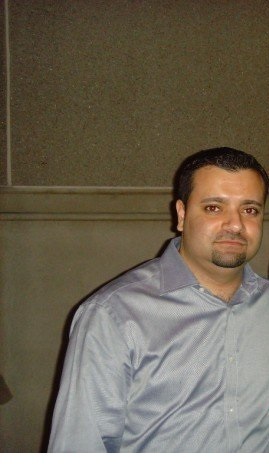 Here is another picture of Rob Singh aka Prabh Ahluwalia. He is 36 today, please check a facebook page looking for him as well with other facts and pictures. email or post if you have any info!! He is still out there scamming others. Today is his Birthday, could be celebrating at home of the mother in Ashburn?